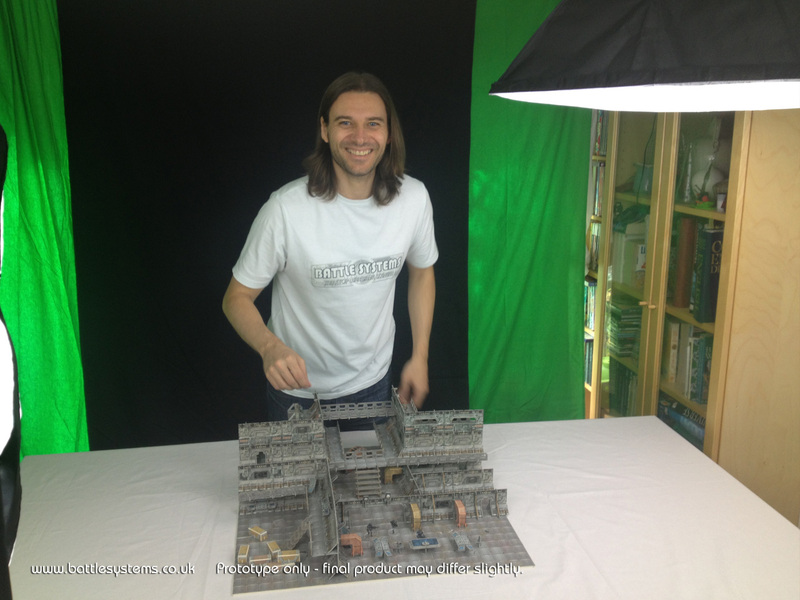 We’ve just spent a very long weekend shooting the video promo for our Kickstarter. Set up in our exclusive studio (Colin’s office) using advanced technology (his iPhone) and powered by the latest in food advancements (crispy M&Ms) we’ve managed to cobble something together that shouldn’t be too incomprehensible. Wayne mistakenly thinks he’s at a ‘Herbal Essences’ fashion shoot. Colin has the unenviable task of editing hours of footage into a 5 minute short introducing Battle Systems, the new line and guides to setting up. We will probably post some footage here before the Kickstarter starts so keep your peepers peeped. Meanwhile we’ve been renovating two more parts of the line-up: the containers and the hangar bay. The containers have been changed from a simple box to a more sci-fi shape and the hangar bays have been retrofitted to fit in better with the new doorways. We’ve also been hammering away at a number of stretch goals which include ((BLEEP)) and ((CENSORED)). 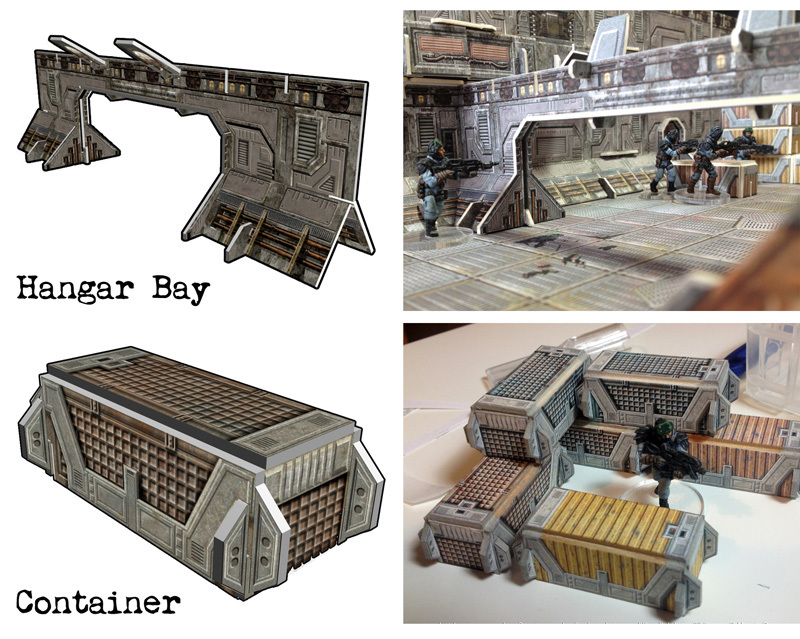 New hangar bay and container crates. Shiny.